These are laudable goals, but without strong community input and support from the state, it’s just a laundry list. That’s why the RI-IC is such a standout. The Rhode Island Implementation Council has a dedicated resource person that attends each IC meeting. The new members had a formidable challenge ahead of them. First, to master the dizzying range of terminology often used in these meetings and second, to become vocal champions for the people in their communities. Their engagement and involvement exceeded all expectations. They are not afraid to ask questions, say they don’t know when they don’t know, and give providers in attendance first-hand experience in speaking directly to representatives of the population they serve. In addition, community members on the IC have become a real team. They share the responsibility of chairing the meeting by rotating between elected officers. Sherman Pines, the official chair person has also facilitated a “house meeting” for the state task force on long-term services and supports. Christina Tate has attended RIOP organizer training and continues to speak about the benefits of the duals demonstration in the community. Sherman is deeply involved in issues surrounding aging in community. 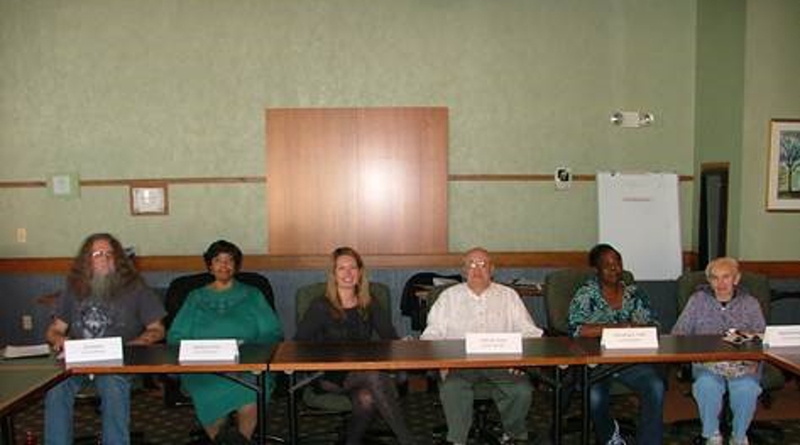 This summer, he hosted the ‘Conversation on Caring for seniors and Rhode Islanders with Disabilities’ in partnership with Leading Age RI, Age-Friendly RI, East Bay Community Action, Diocese of Providence, Long-term Care Ombudsman, RI Vets and the Rhode Island Organizing Project. It was a statewide initiative to reach out to communities and hear directly from seniors and disabled adults on what concerns them the most. Christina continues to be a strong voice for her community. She has testified at State hearings regarding the No Fare Bus Pass and proposed Medicare co-pays. Christina has also attended the Organizers’ Summer Institute for the past two years. She has been a tireless champion of the ICI. Both Sherman and Christina lead by example and challenge their communities to speak up and speak out on the health care they receive. They are an inspiration to us all, demonstrating the power of consumers to transform our health care system by stepping up and making their voices heard.